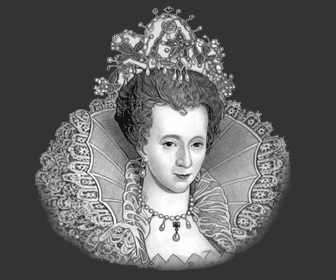 What was the Money and Currency and currency like during the reign of Queen Elizabeth I? What was it worth? What were the wages like? The money and currency of the period was all in coins - there was no paper money. During the Renaissance period coins were minted in either gold or silver. The English pound originated from a measure of weight which was used to represent a sum of money. 240 pennies equalled a pound or 20 shillings equalled one pound. The penny was the basic monetary unit of the period. The names of the English units of currency and how they were abbreviated in written format date back to the Roman period. A combination of pounds, shillings and pence would be expressed as £5..2s..6d. The weight of silver of gold contained in a coin determined what the value of the coin would be. Coins were always alloyed with another metal. The amount of silver or gold contained in the alloy is known as the fineness. The first documented reference to the penny is dated 790 AD when the first English penny was minted in silver. The design of the penny frequently changed depicting the images of various rulers. The first Anglo-Saxon pennies depicted a cross on the reverse of the coin as a symbol of Christianity. These crosses were used as guidelines to cut the penny into halves and quarters hence the term 'cut coinage'. The halfpenny (worth half the value of a penny) and farthing (worth a quarter, or a fourth, of the value of a penny) instead of being roughly cut were were then minted. The word farthing was derived from 'fourthing'. The penny changed from silver to copper in 1797 then changed to bronze in 1860 and copper plated steel in 1992. The following table details the different coins, or units of currency, and their values. The pound in the Elizabethan period would be roughly equivalent to about 400 US dollars at present. Additional details, facts and information about the Elizabethan Period can be accessed via the Sitemap.